RESA Power Solutions completes acquisition of Transformer Testing and Repairs, Inc., a leading provider of west coast transformer maintenance. RESA Power Solutions, the market leader in life extension solutions for power distribution equipment, has acquired Transformer Testing and Repairs, Inc. based in Fairfield, California. Transformer Testing and Repairs, Inc. has been serving the Northern California area since 1988. “The acquisition of Transformer Testing and Repairs, Inc. and it’s addition to our own Transformer Services business unit further expands RESA’s footprint into the California market and allows us to provide our customers with the full scope of our life extension solutions for electrical power transmission and distribution market. 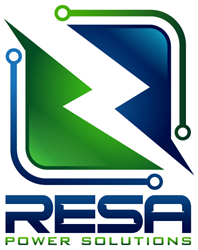 We are very excited to welcome the Transformer Testing and Repairs, Inc. team to the RESA Power Solutions family,” says Dorian Alexandrescu, President and CEO of RESA Power Solutions.